Note that if you want to use FedEx, ShipStation should not be used. We recommend using ShipStation if you already ship out your orders with that platform. Otherwise, our other integrations may be better suited for you. This is optional. If you already have a ShipStation account, skip to Section 2! First, make sure ShipStation supports the carrier you want to use to generate return labels. Also make sure the pricing works well for your business. Click here to create your ShipStation account. You will need to connect ShipStation to your store. Then, the left side menu will change. Under Shipping, click on "Carriers & Fulfillment". This is where you can add your own carrier accounts. The left side menu will change. Under "Account", click on "Subscription". There, you'll be able to select your subscription plan and add your credit card information. Open Return Magic, go to your integration settings. Click on "Activate" on the ShipStation card. You will see some instructions. The left side menu will change. Under "Account", click on "API Settings". 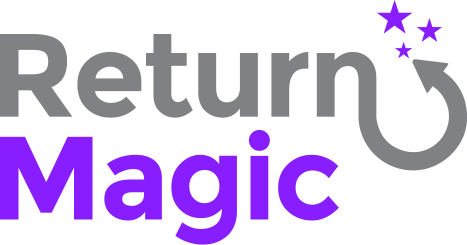 You will be able to copy-paste your two API keys inside of Return Magic. Once that is done, click on "Next". You'll then be asked to select a default carrier and a default package. For the default package, if you want to make sure the integration will work for all services of your carrier, please select "package". If you do not see any options for carriers, or if you see a red error pop-up at the bottom of the screen, please make sure that you've added a carrier account to ShipStation. Once your settings are done, click on "Save" and you should now be connected to ShipStation!